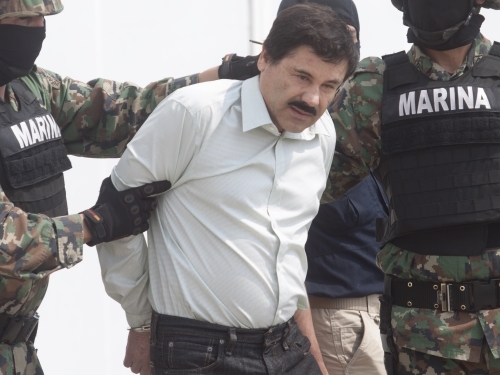 At the height of his power, Sinaloa cartel kingpin, Joaquin “El Chapo” Guzman, was on Forbes’ most powerful list just below Robin Li, the CEO of China’s number one search company, Baidu. Unlike Apple and Baidu, which have to report their annual earnings, acknowledge the members of their companies, and open their finances to government scrutiny, Mexican drug cartels have no such requirements. Many in the academic and policy communities share the notion that organized crime groups operate similarly to legitimate businesses. For example, the United Nations World Ministerial Conference on Transnational Organized Crime took the view that organized crime syndicates are similar to large-scale legal enterprises but whose use of violence is only secondary to the required organizational capacity to earn profit. The Conference stated that “Like any business, the business of crime requires entrepreneurial skill, considerable specialization, and a capacity of coordination, and this is in addition to using violence and corruption to facilitate the conduct of activities.” Reflecting the business acumen needed to succeed in criminal enterprises, Mexican cartels derive illegal profit by using their capabilities to expand into new drug markets and to smuggle drugs and other illicit commodities through innovative and secret means. Because organized crime groups’ central reason for existing is to make money for its membership, an alternative way to understand Mexican cartels is to compare them to other profit making enterprises. To emphasize the cartels’ use of violence leads to inapt comparisons with other clandestine groups and results in crippled policies to combat them. Instead, analyzing how cartels earn and use money draws attention to what characteristics they share with legal companies and where they intersect with the legitimate economy. By viewing cartels through the lens of a profit making enterprise, rather than focusing solely on their use of violence, policy makers and scholars can develop better approaches to reduce their power and influence. To highlight how organized crime groups are like legitimate businesses, Russian sociologist Vadim Volkov coined the term “violent entrepreneurs.” Volkov’s term refers to individuals who create “a set of organizational solutions and action strategies enabling organized force (or organized violence) to be converted into money or other valuable assets on a permanent basis….” Volkov continues by stating that “Violent entrepreneurship is a means of increasing the private income of the wielders of force through ongoing relations of exchange with other groups that own other resources.” Critics of the term “violent entrepreneurs” argue that it places too much emphasis on the use of violence rather than on the increase of private income through illegal means. Most of the time illegal trafficking markets are generally peaceful. In fact, organized crime groups involved at the higher end of the trafficking network often behave peacefully and cooperate with one another while also colluding with state agents. Interactions among organized crime groups and the state, in many cases, are characterized by considerable cooperation. The use of violence by organized crime groups can be bad for business because it interferes with the group’s money making activities and can bring unneeded state intervention. Violence raises the possibility of incarceration or death causing cartels to shift their attention and money to increase security for their members and business activities. In short, the use of violence can create significant disruption in earnings for the group. What the [cartels] are really selling is logistics, much like Wal-Mart and Amazon.com. Wal-Mart was one of the first retailers to run its own fleet of trucks, providing tailored shipping at a lower cost that in turn gave the company an edge over its competitors. Similarly, Amazon may have started as a bookseller, but its dominance, as Fast Company put it, is ‘now less about what it sells than how it sells,’ providing a distribution hub for all sorts of products. Drug-trafficking organizations are using the same philosophy to cut costs, better control distribution, and develop new sources of revenue. The term “vicious firm” better underscores the private nature of these groups and emphasizes their illegal profit making while avoiding the overemphasis on their violent tactics. The term also facilitates the understanding of how Mexican cartels share an organizational logic akin to that of a legitimate business. However, Mexican cartels are more encumbered than legitimate businesses in a number of ways. In fact, there is a high degree of complexity that a drug trafficking organization must navigate in order to not only survive but also to be successful. Mexican drug trafficking organizations participate in a hypercompetitive illegal market that is distinct, in four ways, from legitimate commercial competition. First, the commodity is illegal or it is legal but its manner of delivery is illegal. Second, the market size for the commodities is large and the number of groups seeking to control its delivery is numerous. Third, because the Mexican cartels cannot avail themselves of legal remedies, there is the lack of an arbiter to resolve disputes over agreements. Fourth, the state actively engages in curtailing the market and therefore spin-off criminal markets—kidnapping and murder-for-hire—often emerge as a result. In order to be a successful firm in such an environment, Mexican cartels have adapted to new market drivers by diversifying their sales territory, types of products and delivery methods. When it comes to the drug market, the Mexican cartels continue to be the main supplier for the US. They have, however also expanded the cocaine trade outside of the hemisphere. Mexican cartels supply drugs to a growing Western European market via West and North Africa. With a higher profit margin for cocaine and increased demand in European countries combined with lax law enforcement in the countries of West Africa, Mexican cartels have seized the opportunity for increased profits. The Sinaloa cartel has been the most entrepreneurial and expansive; its operations have been discovered in the Philippines, Hong Kong, and Australia. Other than expanding into new drug markets, Mexican cartels have diversified their activities beyond drug trafficking. They are now involved in poly-crime activities mostly centered on secretly moving pirated consumer goods, oil, and people. Because of their ability to control key transportation hubs like ports, Mexican cartels can export a variety of illicit products. Most recently, a new product of choice to smuggle is iron ore from Mexico to China via the Pacific Coast port of Lazaro Cardenas. The cartels also continue to innovate their delivery methods. Mexican cartels’ extensive use of underground tunnels to evade border security is well documented. However, Mexican cartels have worked with Colombian traffickers to utilize “narco submarines” to smuggle mainly cocaine into the US. The Mexican cartels are also using drones to smuggle drugs over the US border. Since 2012, the DEA has counted approximately 150 drones crossing the border, with an average of thirteen kilos per load, totaling approximately two tons of narcotics. As vicious firms in the illicit logistics business, Mexican cartels must have reasonably secure access to territory. For drugs, like heroin and marijuana, crops must be grown, harvested, transported to labs for processing, moved to distribution points, sold to wholesale markets, and purchased at the retail or street level. Drugs that are made and not grown, like methamphetamine, must be produced with the necessary precursor chemicals that are imported into Mexico via seaports and airports. The chemicals must then be delivered to processing labs. Once processed, they are then moved along the distribution chain in a similar manner as indigenously grown drug crops. Colombian cocaine and heroin must be received from South America and moved to market. Some of these drugs come via land through the states along the southern border shared with Guatemala, but the bulk of Andean cocaine and heroin is shipped by air or boat along two main routes: the first route enters the Yucatan Peninsula via remote airstrips and the port of Cancun; the second route enters Mexico via port cities in Guerrero and Michoacan. The transportation infrastructure for moving drugs is also used to move counterfeit consumer goods and people; trafficking these illicit commodities requires autonomy of action that is only enabled by unfettered access to certain areas—staging points, transit routes and market destinations. To maintain such access, cartels bribe and threaten local police and politicians to ensure that they do not interfere with cartel operations in their jurisdictions. Mexican cartels are able to take full advantage of Mexico’s location to the US. 250 million people per year cross the nearly 2000-mile long border between the US and Mexico. “It spans four US states, six Mexican states, twenty railroad crossings, and there are about 30 city pairings along it (US and Mexican cities directly across from each other). About 12 million people live on both sides.” Border cities such as Nuevo Laredo, Juarez, and Tijuana have a strategic location where the re-aggregation of drug loads occurs. Cocaine, in particular, has a far longer supply chain than marijuana and methamphetamine; because the supply chain is transnational, thus it is difficult to guard. The result is that protection of shipments has made the Mexican cartels involved in the cocaine trade more aggressive and violent than smaller groups that traffic in marijuana or Mexican heroin. Demonstrating another aspect of their ability to innovate, Mexican cartels have also groomed a domestic market for marijuana, methamphetamine, and heroin. Mexico is now a consumer market for drugs; one study conducted by the Mexican government found that drug consumption in the Mexican state of Sonora, a key border state for smuggling, had increased by thirty percent in six years. Profit taking is done at each stage of the enterprise, but the shipment and smuggling stages are where the highest profits are made; nearly a quarter of the price of a kilo of drugs is kept as profit. Like profits from a legitimate business, illegal profits must be converted into useable financial instruments; this stage is where vicious firms intersect more directly and more visibly with the licit world. Financial institutions, like banks, are particularly susceptible to the influx of cartel profits. Wachovia, Bank of America, and HSBC, have all admitted to failing to properly monitor money transfers. For example, Mexican cartels deposited illicit funds into accounts in Atlanta, Chicago, and Brownsville, Texas, from 2002 to 2009. Wachovia admitted that it failed to monitor and report suspected money laundering activities to the tune of $110 million. Finally, in the case of HSBC, the company was fined $1.9 billion for failing to comply with required anti-money laundering practices, thereby permitting hundreds of millions of dollars in Mexican drug proceeds to be deposited in various accounts and transferred to others with impunity. All three examples show how cartels can use the world banking system to “clean” the money that comes to them through illegal activities. In addition to using the US banking system to launder and distribute proceeds, Mexican cartels employ gangs to move hard currency back to Mexico. The cash is moved to Mexico in a way similar to how drugs are moved from Mexico to the US—US cities near the border or cities that contain lucrative retail markets act as collection points for cash. “Stash houses” are used to breakdown the hard currency into loads that can be moved in vehicles or carried by individuals across to Mexico. In September 2014, US authorities raided areas of the Garment District in Los Angeles and discovered $100 million in hard currency belonging to the Sinaloa cartel. Because moving such large amounts of hard currency increases the likelihood of detection, cartels have once again sought innovative ways to move money while evading law enforcement. One innovative tactic is the investment of illegal proceeds into gift cards—smugglers can place thousands of dollars on a single card, reducing bulky shipments of cash and thereby decreasing law enforcement’s ability to detect the movement of money. Another innovation is the use of “virtual money” in online role-playing games. Criminals in the US can invest in any number of different accounts in various online communities and the money can be transferred to other accounts to be withdrawn by an accomplice in Mexico or any other country. The smugglers also use the tactic of “cloning” vehicles to make them look like Border Patrol or local law enforcement vehicles, which can then be used to enter restricted areas near the border to transfer loads of currency to waiting partners on the Mexican side. Smugglers have also used fake uniforms to impersonate law enforcement as a way to complete the ruse. The money that moves into Mexico enters the economy in a number of ways. Trade-based money laundering, or the use of commerce to move illegally gained money across borders, has become a favorite of cartels. Through fraudulent invoicing, a cartel can use a front company to overvalue commodities to be purchased and shipped across the US-Mexico border. For example, “A front company for a Mexican cartel might sell $1m-worth of oranges to an American importer while creating paperwork for $3m-worth, giving it cover to send a dirty $2m back home.” According to the IMF, the value of Mexican exports to the US regularly exceeds what the US imports from Mexico; with the end of export subsidies, the discrepancy is due to Mexican cartels’ use of trade-based money laundering to bring US money into Mexico. Real estate is also another favorite way to hide criminal proceeds; property transactions are registered at the state level in Mexico and face weak scrutiny. In fact, until 2011 the only money laundering investigative organization was the Financial Intelligence Unit (FIU) within the Secretariat of Finance and Public Credit and a new anti-money laundering law was passed that same year. Since then, cooperation with US financial agencies has improved and there has been in an increase in reporting suspicious banking transactions. However, improved reporting has not led to greater enforcement. According to Jan Smith of Edgar, of the global financial service company of Dunn and Company in Mexico City, anti-money laundering laws “suffer from a lack of effective implementation capacity”. Up to 2013, there have only been twenty-nine legal proceedings in Mexico to seize assets linked to Mexican cartels. Therefore, this avenue of cartels’ money laundering capability remains virtually untouched largely because Mexico’s weak civil-asset-seizure processes and laws. By focusing on the cartels as vicious firms with more similarities to legitimate corporations, policy makers can better frame their efforts. Tackling criminal cartels is about hitting their bank accounts and bottom lines. Successful government efforts to bring down criminal networks have always had a robust financial component. For the Mexican and US governments, gaining an advantage against the cartels will require more accountants with spreadsheets combing over trails of money. “Targeting illicit funds is one of the most effective ways of dealing with drug trafficking.” The Mexican attorney general’s office created a Special Unit for Financial Analysis Against Organized Crime in 2011 that is designed to reinforce the FIU and streamline investigations and prosecutions. However, this effort should also include the placement of US Treasury agents alongside their Mexican counterparts to assist in implementing the anti-money legislation that has been passed. Other important areas for concentration are the interdiction of southbound bulk cash smuggling and money laundering through US financial institutions. US law enforcement and intelligence assets should be directed at those groups that specialize in the smuggling of hard currency to Mexico. Additionally, Congress should not only pass legislation that includes tougher criminal penalties for bankers who participate in money laundering, but federal prosecutors must be willing to prosecute these cases. Breaking the nexus between illegitimate profit and legitimate financial institutions would do much to lessen the power of vicious firms. A larger policy debate over how to bankrupt Mexican drug cartels has centered on the legalization of drugs, particularly marijuana. By one estimate, Mexican drug cartels earn approximately 60 percent of their income from marijuana sales to the US. Legalization advocates argue that the legal distribution and sale marijuana in the US would significantly reduce the economic strength of Mexican cartels by cutting into their main profit making enterprise. However, a RAND analysis concluded that marijuana sales account for only 15-26 percent of Mexican cartel income. Moreover, even the legalization of all drugs is not likely to lead to the reduction of the Mexican cartels’ economic power. As the repeal of alcohol prohibition in the US demonstrated, American organized crime at the time was able to innovate by moving into other criminal enterprises like gambling, prostitution and illegal waste disposal. Mexican drug cartels will continue to mimic legitimate firms by innovating their business models. Those seeking to reduce their power and influence must continue to rethink their understanding of criminal groups. With differing approaches and more creativity, policy-makers and scholars can be more innovative than the Mexican cartels they seek to understand and rein in. United Nations Economic and Social Council, “Problems and Dangers Posed by Organized Transnational Crime in Various Regions of the World”, Background Document for the World Ministerial Conference on Organized Transnational Crime, E/CONF.88/2, 18 August 1994. Vadim Volkov, Violent Entrepreneurs, (Ithaca: Cornell University Press, 2002), 27-28. Peter Reuter, “Systemic Violence in Drug Markets”, Crime, Law and Social Change, (September 2009), 275. Phil Williams, “The International Drug Trade”, in Graham Turbiville, ed., Global Dimensions of High Intensity Crime and Low Intensity Conflict (Chicago: University of Illinois, 1995), 162. Stratfor.com, “Organized Crime in Mexico” 11 March 2008. Alberto Melis, “Foreword: A View from the Borderlands”, Small Wars and Insurgencies (March 2010), 3. Casey Newton, “Goddard: Mexican Cartels Move Cash with Gift Cards”, The Arizona Republic, 17 May 2009. Jean-Loup Richet, “Laundering Money Online: A Review of Cybercriminals’ Methods”, Tools and Resources for Anti-Corruption Knowledge—United Nations Office on Drugs and Crime, 1 June 2013. “Under the Volcano”, Economist, 16 October 2010, 31. Jan Smith, “How Well is Mexico’s New Anti-Money Laundering Law Working?”, Inter-American Dialogues Newsletter, November 14-17, 2013, 3. Shannon O’Neill, “The Real War in Mexico”, Foreign Affairs (July/August 2009), 66. Beau Kilmer, Jonathan Caulkins, Brittany Bond and Peter Reuter, “Reducing Drug Trafficking Revenues and Violence in Mexico” RAND Occasional Paper, 2010, 3. Paul Rexton Kan is currently an Associate Professor of National Security Studies and the Henry L. Stimson Chair of Military Studies at the US Army War College. He is also the author of the book Drugs and Contemporary Warfare (Potomac Books, 2009). He recently completed field research along the US-Mexico border for his forthcoming book, Cartels at War: Mexico’s Drug Fueled Violence and the Threat to US National Security (Potomac Books). The ideas expressed are the author’s and don’t represent the views of the Department of Defense or the Department of the Army.